Large new residential projects don’t happen often in the Rockaways, where most neighborhoods are zoned for small apartment buildings and one- and two-family homes. But one developer is planning the first of four nine-story, mixed-use buildings in Rockaway Park, steps from the boardwalk and the ocean. 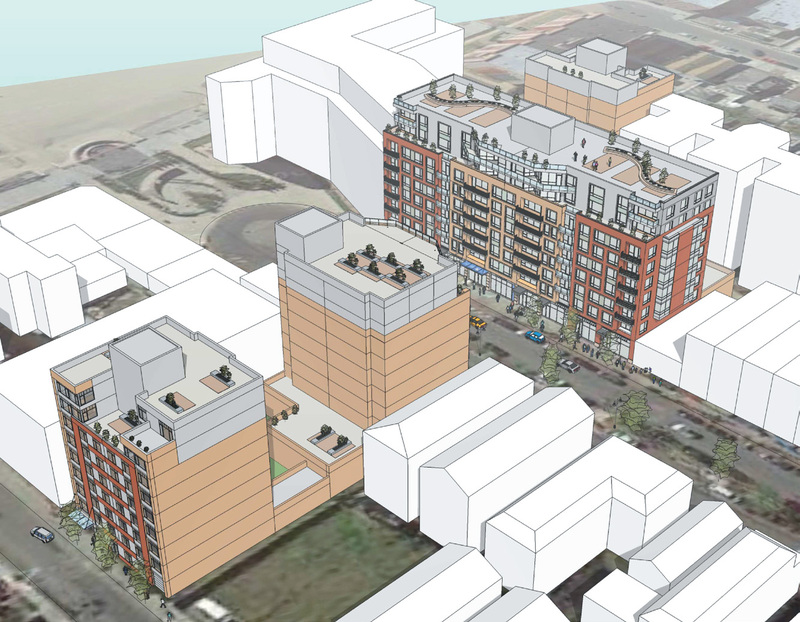 Midwood-based developer Marcal Group has filed applications for a 149-unit development at 1-37 Beach 116th Street, between Rockaway Boulevard and Ocean Promenade. It will be part of a larger complex called Seaside Landing, which will feature market-rate condos and affordable housing. The building would hold 142,660 square feet of residential space and 17,652 square feet of commercial space. The ground floor would host retail and a recreation area, and each of the next six stories would have 20 units apiece. The eighth and ninth floors would hold 16 and 12 units respectively. Karl Fischer is responsible for the design. 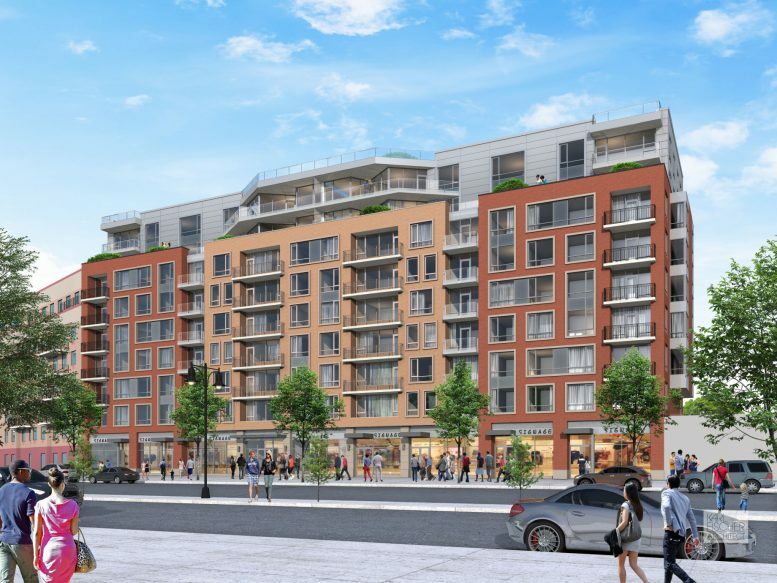 The rendering reminds us of other newish residential buildings around Rockaway, like the eight-story building next door finished in 2006. Several apartments on the upper floors will have private balconies, and it looks like there could be shared roof decks too. The plans also call for a 119-car garage, which is much more parking than the city requires for the apartments. While Rockaway has high rates of car ownership, it’s hard to imagine so much parking is necessary for a site that’s only a block from the Rockaway Park stop on the A and S trains. 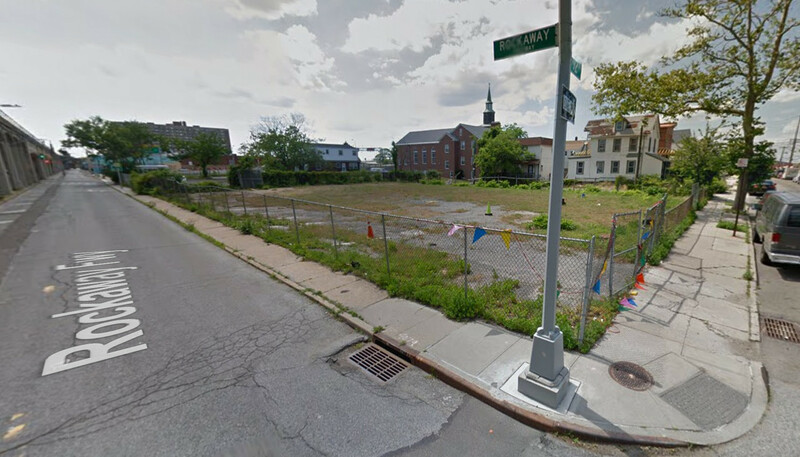 When this project is finished, it will include four buildings between Beach 115th and Beach 117th Streets and 240,000 square feet of residential space, according to the Rockaway Times. Today’s building on Beach 116th Street will be condos. 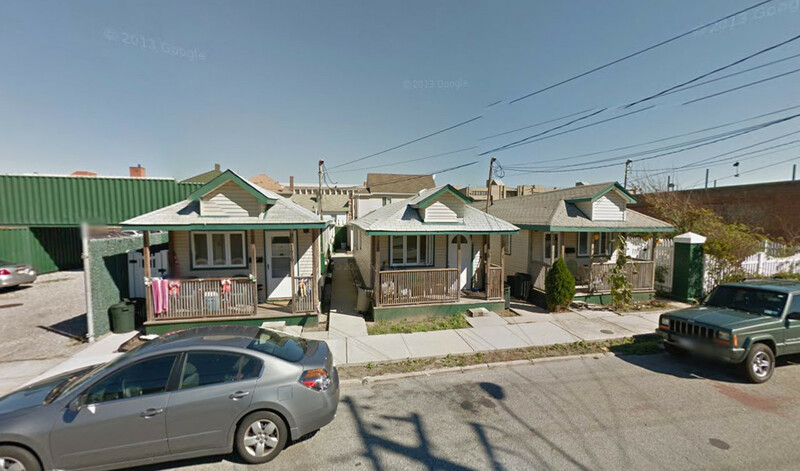 Matthew Caller, a partner at Marcal Group, told the paper he hoped to sell the apartments for $500 a square foot. He also said he expected to apply for the 421-a tax break, which has been dead since the state legislature decided against renewing it in January. Two other buildings on Beach 115th and Beach 117th Streets will hold a combined 158 affordable units for seniors. The 32,000-square-foot site is currently home to an abandoned restaurant and a shuttered gym. Marcal paid $5,000,000 for the property in December of 2015. 4 Comments on "Revealed: Seaside Landing at 1-37 Beach 116th Street in Rockaway Park, Queens"
An up-dated view on a rendering with a master plan, see only an out that indicate of large new residential projects. Is this according to your income for people under ssi?